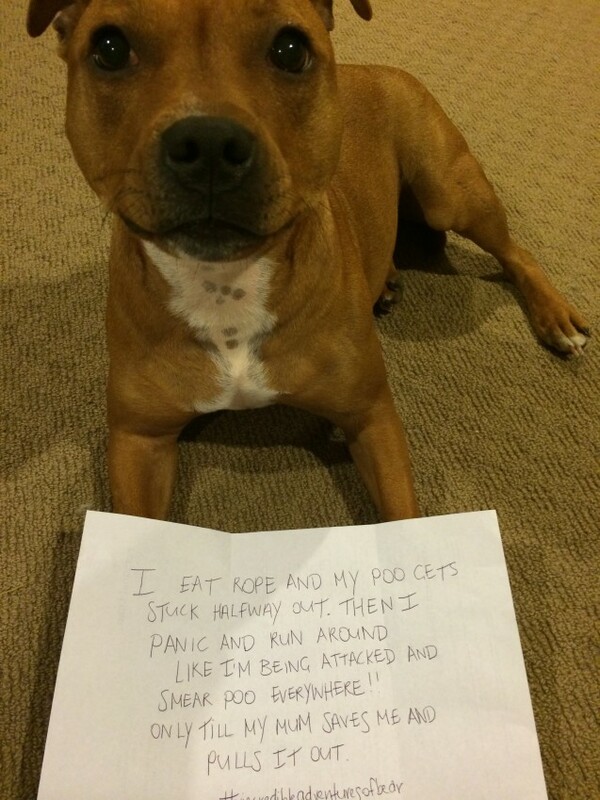 Posted April 13th, 2018 by dogkeeper & filed under Car Corruption, Escape artists, Submitted. 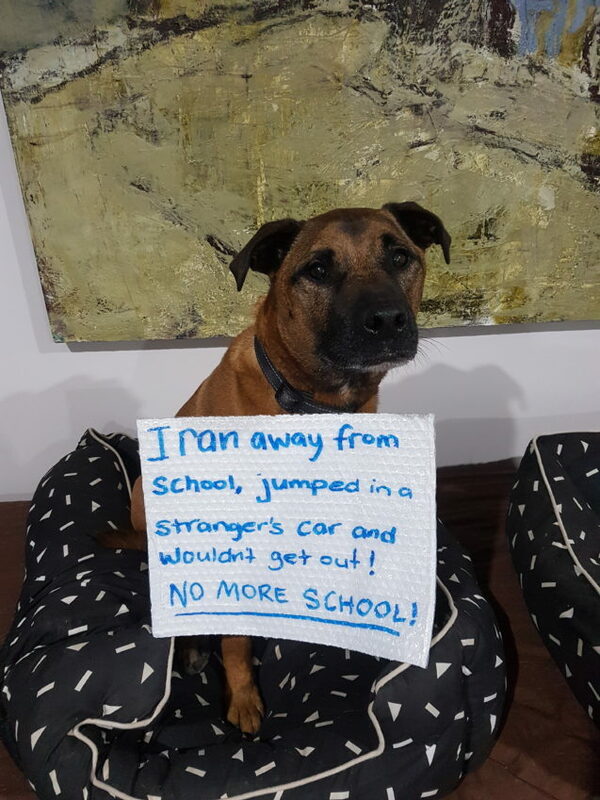 I ran away from school, jumped in a stranger’s car and wouldn’t get out. No more school! On the walk back to the car from Doggie Day Care I didn’t open the car quick enough so Tex jumped in a stranger’s car because the driver’s door was open. He climbed into the backseat and waited to be driven home. Posted August 3rd, 2017 by Audra Williams & filed under Best Friend Betrayal, Submitted. 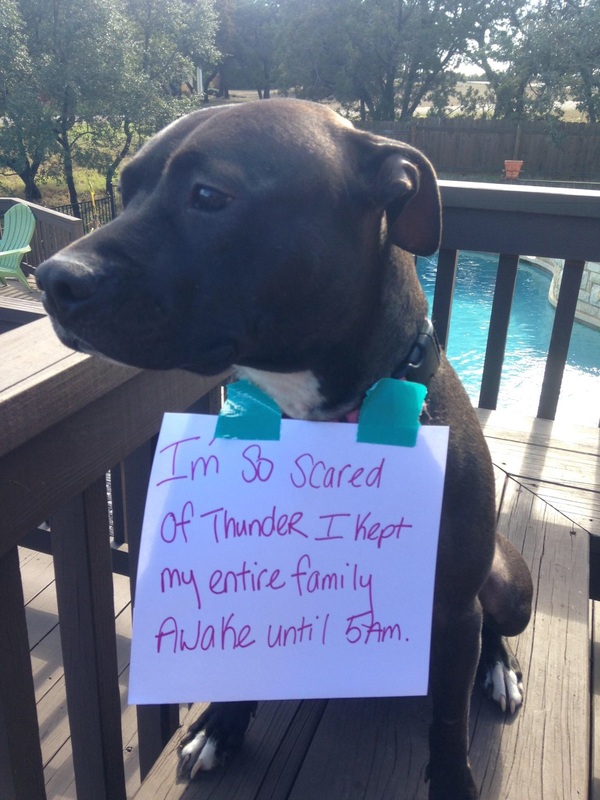 Texas thunderstorms are really scary. I need my family to stay awake with me so I can “protect” them all night long. Posted May 6th, 2017 by Audra Williams & filed under Bad Bakers, Double Trouble, Submitted. 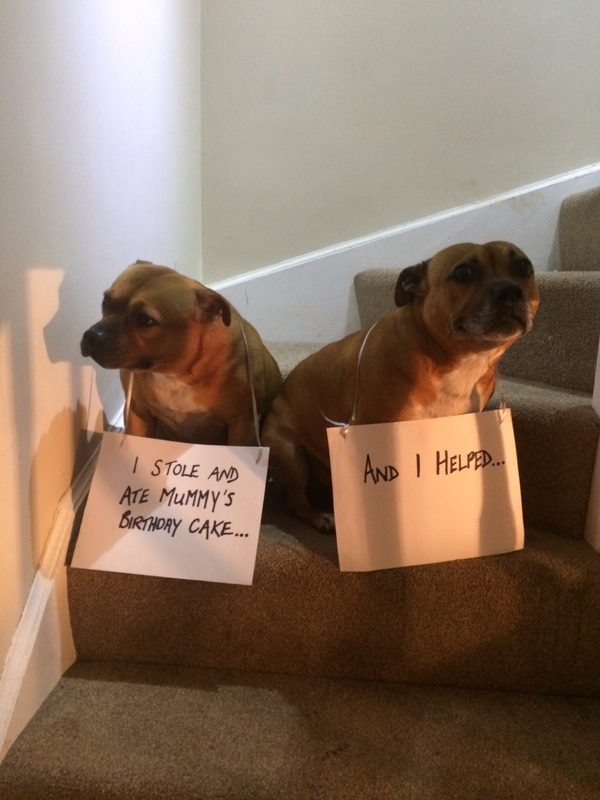 I stole and ate mummy’s birthday cake. I helped. Posted April 25th, 2017 by Audra Williams & filed under Renovation and Redecoration, Submitted. 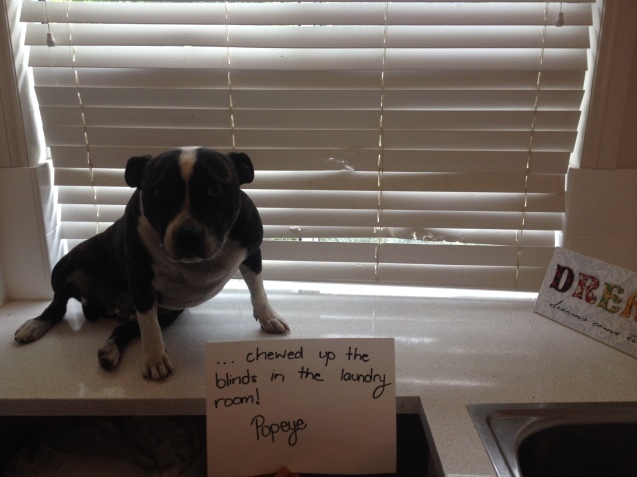 Popeye had a little surprise for his owners when they returned home. Posted November 7th, 2016 by Audra Williams & filed under Disgusting Doggies, Submitted. This is one of the things they don’t tell you about Dog ownership. Needless to say, after the ‘extraction’, there was no dignity left from either of us. Posted April 29th, 2016 by Audra Williams & filed under Submitted. 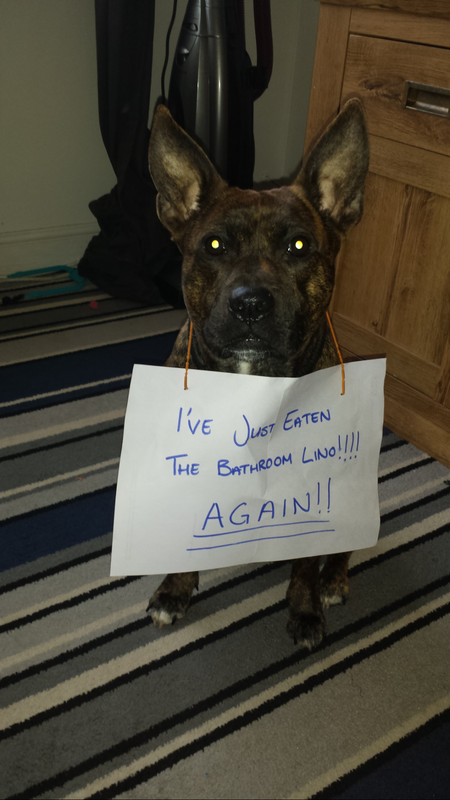 I’ve just eaten the bathroom lino!! Posted January 18th, 2016 by Audra Williams & filed under Shoe Shames, Submitted. ‘Ooo – expensive new shoes..? Do allow me to modify them for you. 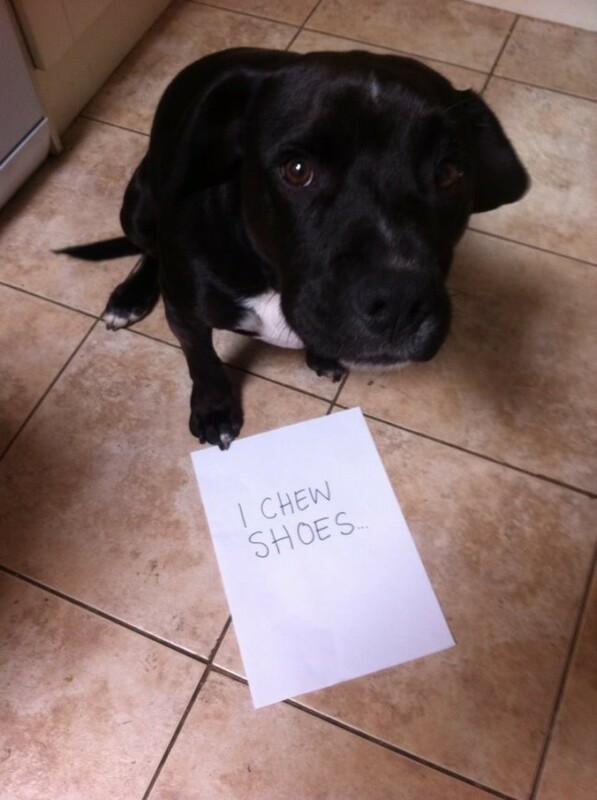 Open-toes are SO this season,’ the shoe chewing minx. Posted September 7th, 2015 by Audra Williams & filed under Bad Babysitter, Disgusting Doggies, Submitted. 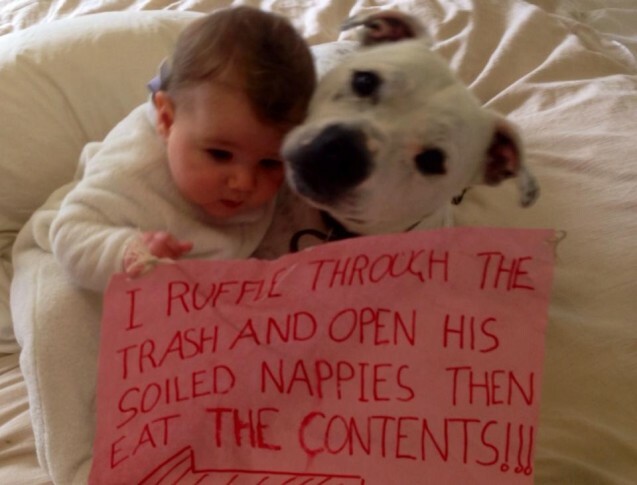 I ruffle through the trash and open his soiled diapers then eat the contents. Posted June 26th, 2015 by dogkeeper & filed under Best Friend Betrayal, Submitted. 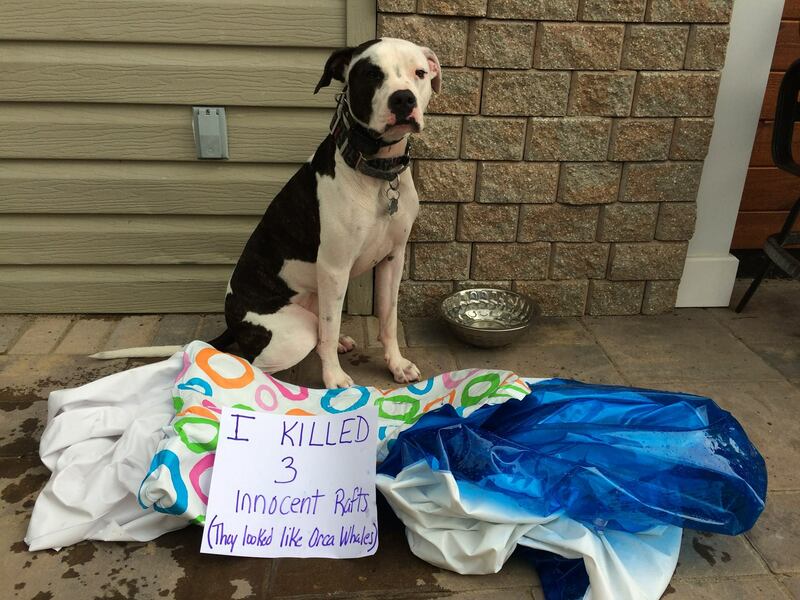 My Pit bull likes to tear up the rafts in our pool. 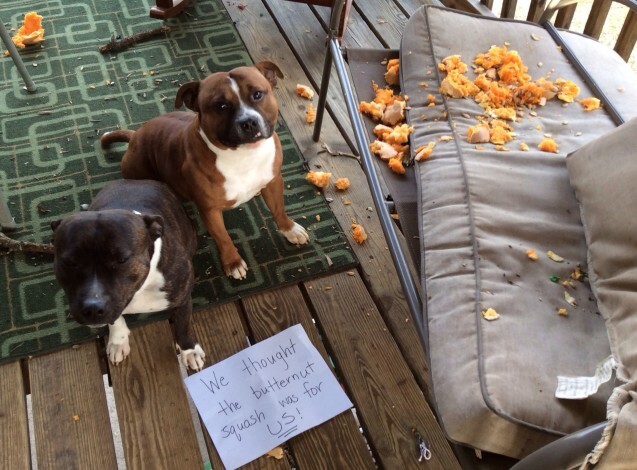 Posted June 11th, 2015 by Audra Williams & filed under Bad Bakers, Double Trouble, Pilfering Pooches, Submitted.